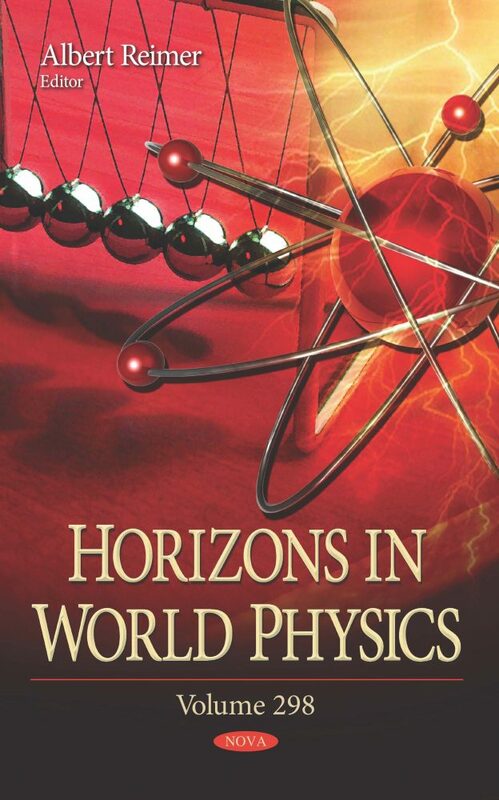 In Horizons in World Physics. Volume 298, the authors open with an examination of the appearance of special properties of nanofractals in various phenomena, such as fractal Au-nanocatalysis, Fano resonance in fractal quantum dots, the role of nanofractals in solar cell interfaces, and the use of different sized DNA fragments in a new separation method. Following this, a high speed full spectrum Fiber Bragg gratings interrogation is presented, which allows for the full distorted spectrum of the Fiber Bragg gratings to be sampled during a dynamic high strain rate event. This is done by using a fiber coupled high speed swept laser source. By using this method, severe spectra distortion and wavelength shifts can be captured. This compilation also reviews quantum electrodynamics processes that are relevant for our understanding of neutron star magnetospheres. Several quantum electrodynamics predictions may be tested by observing photons emanating from neutron stars, one of which being vacuum birefringence. procedural decision can be explored community-wide. Constant Finder (http://www.constantfinder.org) is a comprehensive automated code and user interface which allows users to make their own procedural decisions, adjust experimental and theoretical values and uncertainties, and pose alternatives to theory within several global data-fitting frameworks.